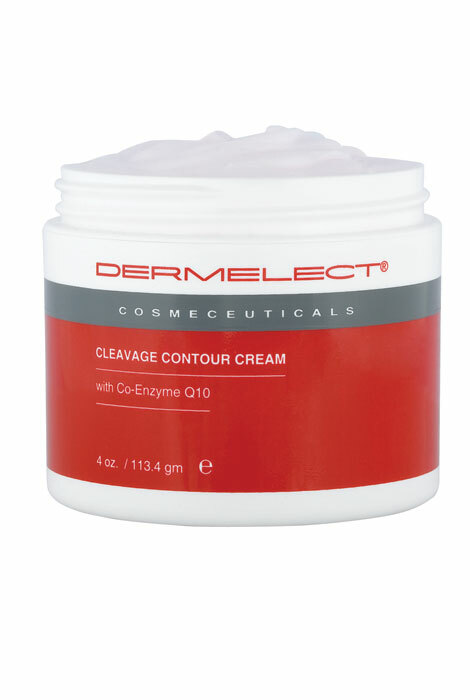 Dermelect® cleavage contour cream is formulated with anti-aging coQ10 and Vitamins A, C, and E. Body firming cream smooths fine lines, enhances elasticity, and lifts and firms skin for a younger-looking bust. 4 oz. Coenzyme Q 10, Avocado Oil, Jojoba Oil, Safflower, Hyaluronic Acid, Chamomile. Lightly smooth on this light, non-greasy body firming lotion until fully absorbed from the base of your chin to the underside and sides of the breasts. Apply generously, AM and PM for best results. For all skin types. Every woman needs this product! I use this product every morning and every night and it has done wonders for my skin. I had tried Estee Lauder Re-Nutriv lifting cream for throat and decolletage at a cost of $100 for 1.7oz and that product worked fine but this product works just as well at less than half the cost. I used one entire jar on my chest, and I see it as a fabulous moisturizer, although I don't think it will lessen my chest wrinkles significantly. In order for it to have the best effect, you would probably want to apply at night when you don't have to fully rub it in. It's a tad on the greasy side, so you don't want to use it before you go out. With long term use, your skin will be drastically more moisturized, but I remain doubtful of its ability to remove wrinkles that are already established. I have used it for several years and like it very much! Too many hours in the sun when I was younger, plus simple aging, has caused wrinkles and lines on my chest and I want to minimize them. Wrinkles on the chest area are a concern. Product received good reviews. Great product! Makes my old skin look younger. When it comes to swimsuit season, I'll need all the help I can get! IT WORKS!!! Doesnt remove wrinkles but certainly leaves my chest very smooth! I love the description and the vitamins of this product that won't effect your skin at all. I am trying to repair past damage to this area. This will be the third container of this wonderful cream. It hasn't made my wrinkles disappear but it has given me the smoothest skin ever. Its wonderful!! like it, have tried previously. can you go in the sun with this product on? BEST ANSWER: I do! I always put a sunscreen on over it though. I find this product really helps with keeping the upper chest skin I good shape...I don't let myself run out of it! i do not want to purchase as frequency? BEST ANSWER: Thank you for your question. 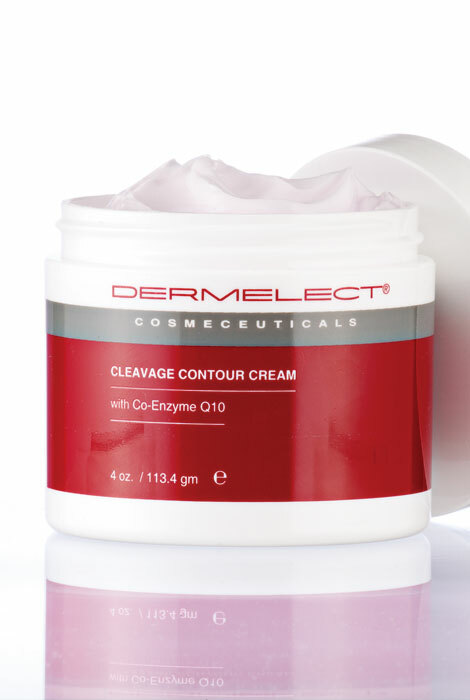 The Dermelect cleavage Contour cream does not need to be purchased as being part of the auto refill. Just select one time purchase as the frequency and it will not be part of the program. We hope this information will be of help to you. This question doesnt make sense.